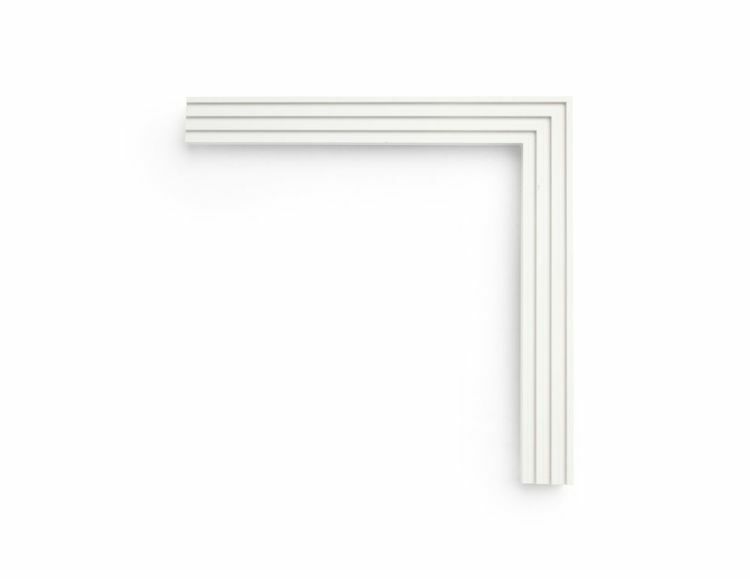 This 1-3/4 inch frame is painted in a "Rising White" finish, with a wide reverse bevel and flat, high inner face. Painted wood finishes are perfect for photography or a contemporary touch. This 1-1/4 inch frame is painted in a "Silvery Moon" finish, with four narrow ribs forming a patterned flat face. Painted wood finishes are perfect for photography or a contemporary touch. This 3 inch frame is painted in a "Granite Grey" gray finish, with a reverse scoop leading to a high inner arch. Painted wood finishes are perfect for photography or a contemporary touch. 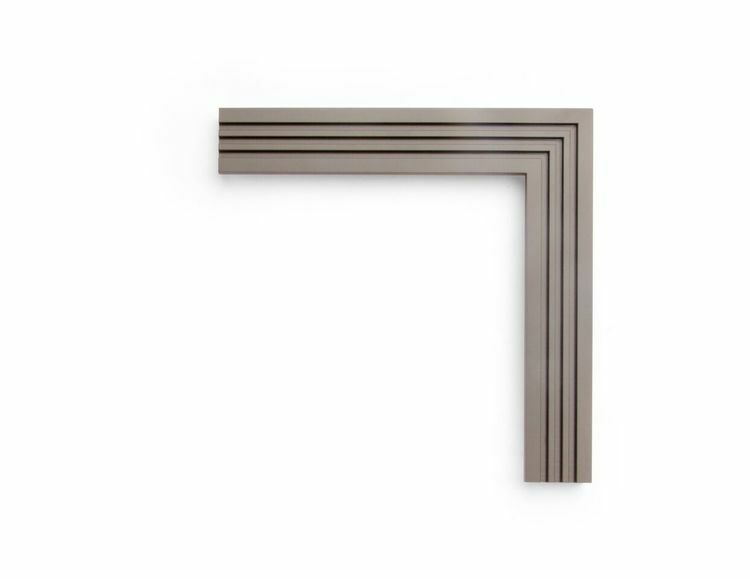 This 1-3/4 inch frame is painted in a "Steel Grey" finish, with four ribs of alternating width forming a patterned flat face. Painted wood finishes are perfect for photography or a contemporary touch. This 2-1/2 inch frame is painted in an "Ashland Slate" finish, with a soft inner cove and hidden back wedge. Painted wood finishes are perfect for photography or a contemporary touch. 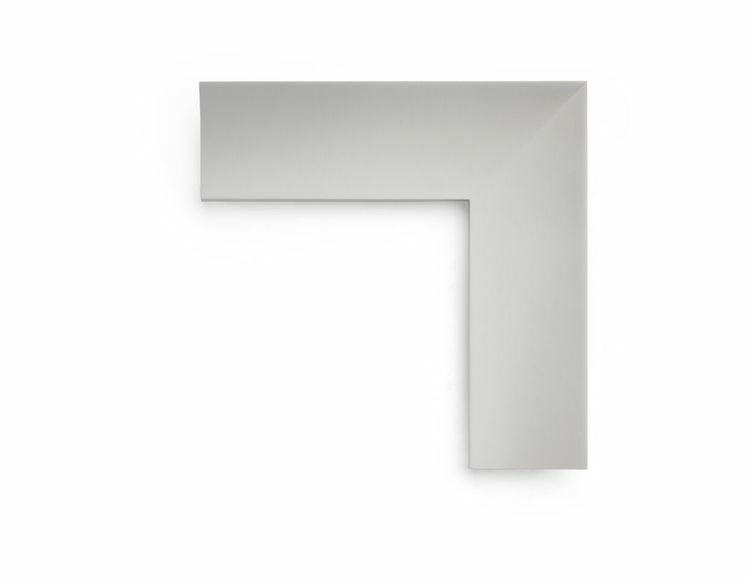 This 2-1/4 inch frame is painted in a "Rising Antique White" finish, with a wide flat panel and outer bevel. Painted wood finishes are perfect for photography or a contemporary touch. The new drawing frame takes on sophistication and elegance while remaining clean and precise. This clean profile has enough weight to hold its place in the space while promoting a sense of weightlessness in its execution. This is a small sample of our selection of Painted Wood frames. Come in to see more.